A 19th Century cottage in the Romney Marsh has become a brother's tribute to a fan of Doctor Who. David Bannister had enjoyed the Doctor Who TV series since childhood and built up a large DVD, CD and book collection on the Doctor. In 2009 David died unexpectedly, aged 51. 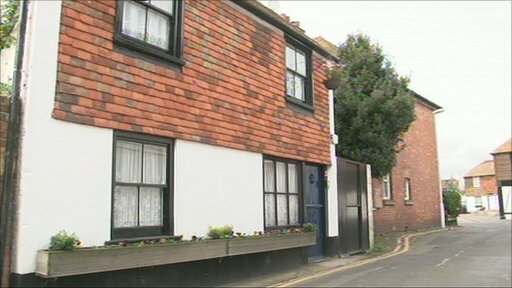 His brother Tony has created the Dr John Smith Cottage in Lydd in his memory. A Dalek occupies the living room and there is a TARDIS in the courtyard. "It's great when kids come in because they're absolutely gobsmacked" said Tony, "their mouths fall open when they see the TARDIS and the Dalek." The Doctor Who series Carnival of Monsters screened in 1973 was filmed on the Romney Marsh. 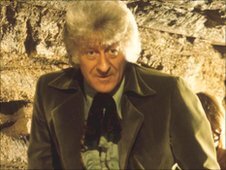 It featured Jon Pertwee as the Third Doctor and Katy Manning played the Doctor's companion, Jo Grant.